We’ve all heard it: Starting your day off without having to rush is the best. But in the hectic landscape of leadership, how do you make that possible — especially if you add kids, pets, long commutes, and trying to squeeze your fitness routine into the mix? I wish there were an easy answer, but the answer truly is in looking at your schedule and reworking it to help yourself and — get ready for it — not necessarily others. You see, everyone that you interact with feels that their requests and needs are more important than your own. It doesn’t mean they’re bad people; we ALL feel this because it’s OUR request. The key is in setting a course for your day and not deviating to meet everyone else’s “emergency.” The only way to strengthen this area is in the planning. Here are five easy steps to get you on the path to gaining empowerment of your schedule. Yea, yea, we all have technology options out the wazoo, but the act of physically writing out your action items and areas of focus for the day strengthens your ability to commit to it. By taking the action to think it, write it, and speak it, you have just told your brain what to do, and it will follow. There are many articles on the power of writing down your goals, whether short or long term, and keeping them in view. Entrepreneur features many great articles on this subject with one being “The Power of Writing Down Your Goals”. Remember when I mentioned I wished there was an easy fix? This is a big one for leaders who want to start controlling their day versus the alternative. You must get up earlier so that you can give yourself, at minimum, 15 minutes to THINK without rushing into your routine for the day. It doesn’t mean you have to get to the office earlier; you just must give yourself the time either before heading out the door and into your day to outline your priorities before your office door becomes the revolving door. Many times, it takes just waking up 30 minutes earlier. This means getting to bed earlier, but that’s another post. If you like to get dressed and head out for coffee, sit at the local coffee shop to write out your plans before stepping foot into your office. If your schedule requires you to get kids up and off to school, get your coffee on and sit in silence before anyone is awake to write out your plans. Then, hit your schedule. If you’re a person that loves getting into the office for planning, get there before anyone else arrives, shut your door, and write out your plans. The key is in not checking email, voicemails, etc. until AFTER you outline your plan for the day. Take a moment and look at your daily routine. Write it out. Review it and look at what’s working and what isn’t. Change it. Every day is not equal, so giving yourself an opportunity to look at what’s going on for the week empowers you to ensure you fit in your planning time. Many of us consider the routines of others more important than our own, and as a result, we feel rushed, unorganized, and miss our goals. We’re left wondering, “How did I not get to everything I needed to?” A great way to start the week is to ask your employees, “What do you need from me this week?” Have them get you a response Monday morning so you can shape their key requests and need for leadership support into your daily planning. This allows you to inform them of what day and time they can expect to hear back from you and allows you to minimize daily interruptions. It’s time to start saying no. Once you have your list for the day and know what you need to accomplish, your goal is to stick to that plan. Things will come up, but it’s up to you to determine what truly is a requirement for the day and what can wait until tomorrow’s list or the next day or the next. You get the picture. Others have no idea what is on your list and will appreciate the response, “OK, thank you for bringing this to my attention. I can get to this [insert day and expected time]. Will that work for your schedule, as well?” This will help train those around you to know that you respect their time and their request, but also your own, and they will come to expect an outlined plan of when you can address their need. At the end of your day, review your plan. What did you accomplish? What did you not get to? What other incoming requests did you receive? 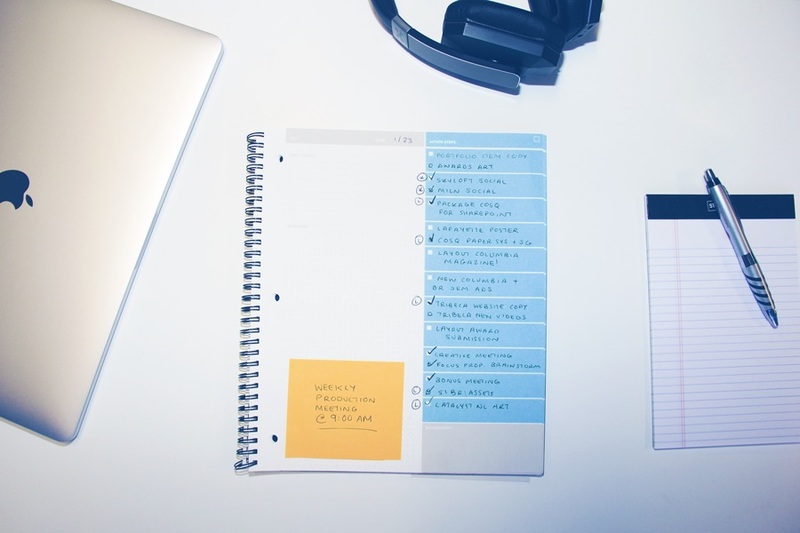 Note those quickly down for your planning time set aside for the next day. The goal in this is to create a leadership routine that becomes part of your lifestyle. It creates structure, so you can take control of your day, your week, your month, and your goals. It won’t always be perfect, but I know you’ll feel more in control, less stressed, and accomplish much more with these five simple planning steps. You’ll be surprised at how this can open up your time to focus more on the big picture and provide the leadership direction your company needs.